Café Saula is a wonderful family-owned coffee roasting company based in the beautiful Spanish city of Barcelona. Producing some of the very best coffee in Europe for over 65 years, their multiple awards are testament to their ability to create the very best coffee with superior aroma, taste and colour. 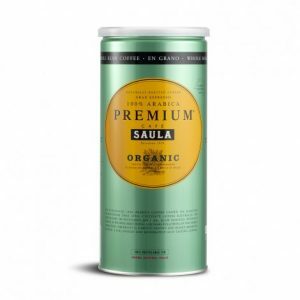 Café Saula’s Premium Organic Gran Espresso is better rated by Amazon customers than Illy’s Espresso Ground Coffee! 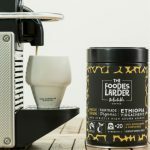 The blend uses four varieties of Arabica coffee beans, all sourced from small, specially selected mountainside plantations in South America, Central America and Indonesia. 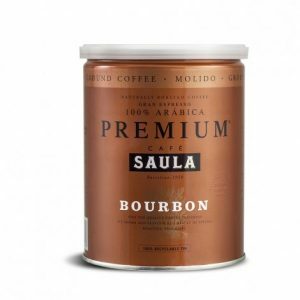 It’s an indulgent coffee you can enjoy any time of the day. 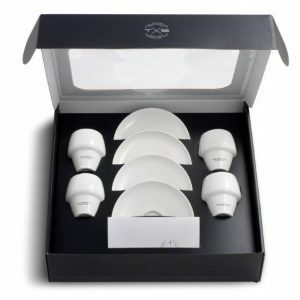 Café Saula's 'Taza Sommelier' Set includes 4 White Fine Porcelain Sommelier Espresso cups and saucers in a beautiful presentation box, together with a comprehensive 15 page 'Coffee Cupping and Tasting Guide' to help you perfect the art of espresso cupping. 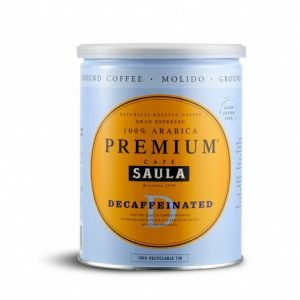 Winner of a Double Gold Great Taste Award in 2013, this premium decaffeinated ground espresso coffee is created using four varieties of Arabica coffee beans, all sourced from renowned plantations in Brazil, the Caribbean, Central America and Africa. It has an intense rich flavour and aroma, with primary notes of orange & lemon and secondary cereal notes of malt and slightly spicy black pepper. 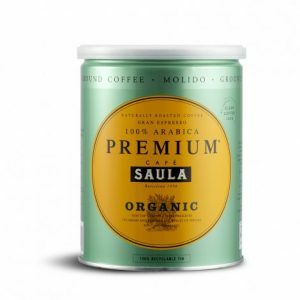 An espresso blend of four premium quality varieties of Arabica beans, grown using organic methods and sourced from small, specially selected mountainside plantations in South America, Central America and Indonesia.